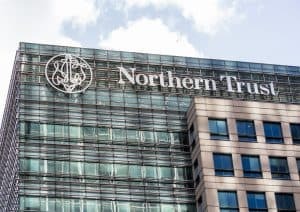 The move is the latest effort by custodians to expand into the front-office; however, Northern Trust is the first to take on certain trading activities for asset managers. Northern Trust has launched an outsourcing trading service for asset owners and asset managers, making it the first custodian to take on buy-side trading functions. The service, named Integrated Trading Solutions, combines Northern Trust’s equities and fixed income trading capabilities with its access to global markets, trading venues and liquidity. The move marks the latest effort by custodians to expand into the front-office; however, Northern Trust is the first to take on certain trading activities for asset managers. Speaking to The TRADE’s sister publication Global Custodian, Penny Biggs, chief strategy officer for Northern Trust, explained that the launch of the service is off the back of client demands to help them increase efficiency from the front- to the back-office. “From the moment the manager knows what they want to buy, our new model takes them from execution, to clearing, to settlement, all of their middle-office activity, as well as their regulatory and oversight functions,” said Biggs. “It is the traditional outsourcing model on steroids because it brings in trading and execution. Northern Trust stated the new service will help clients meet their best execution obligations, set out by MiFID II. The front-office has been a key strategy focus for Northern Trust this year, which has been reflected in some of its recent appointments. In September, it promoted Dan Houlihan to a newly created role as head of asset servicing for the Americas, to oversee the development of a full front-to-back-office offering to buy-side clients. Northern Trust will look to integrate its front-office and middle-office capabilities through the launch of a new technology and operating model that is designed together as one, Biggs explained. The launch of an outsourced trading model could replicate services offered by certain prime brokers such as Cowen Group and Linear Investment which enable hedge funds to outsource their trading desk to achieve operational efficiency. Earlier this year, State Street agreed to acquire front-office technology provider Charles River Development (CRD) for $2.6 billion, enabling the Boston-based custodian to expand into new front-office data services.